The students of HK Middle School are served by three counselors, a school psychologists, a social worker and a secretary who also serves as a registrar. We work together closely to ensure the social, emotional and academic success of all students. Our student support staff meets with individual students and groups as well as teaching Developmental Guidance classes. Additionally, our school psychologists complete evaluations as part of the special education process. We work closely with parents and teachers to ensure that all students arrive at school ready to learn and are supported throughout the day. 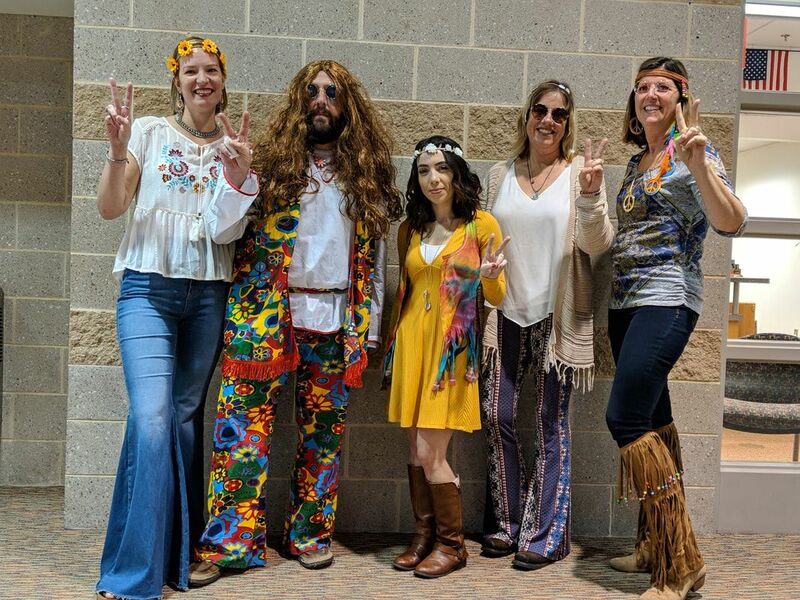 Spreading some peace and love on Halloween!